Right hand rings have nowadays become a fashion for ladies who want to make a jewellery statement. Right hand rings do not mean that you are committed or you are engaged or married. In fact these diamond or gemstone rings are typically bought by individuals who want to flaunt their independence, status, success and individuality. The idea of a right hand ring is basically to convey that single women too can enjoy their individuality without having to miss the fun of wearing this stunning piece of diamond on their finger. Right hand rings are usually diamond or gemstone rings that are worn in the right hand ring finger. These rings are offered in various styles, designs, sizes and colors. A lady can choose to wear a traditional or a modern ring, depending on her preference. However before choosing Right Hand Rings, it is necessary to consider a few points that can help you make the right pick. Knowing how frequent you are going to wear your ring is critical before buying your expensive diamond or gemstone ring. If you choose to wear you ring all day long irrespective of the work you are doing, then the ring should be sturdy and durable. Metals like yellow gold, white gold and platinum are durable and strong metals that can hold your stones securely. Similarly, knowing which stones are durable and not prone to scratches and damages from daily wear and tear is also necessary. Diamond is a hard stone and hence it can be worn regularly. Gemstones like rubies, pink and blue sapphires are hard gemstones and are able to endure your daily wear. Hence these are highly recommended. Certain softer gemstones like opals, topaz, garnets, peridots, etc. are prone to scratches or chipping due to everyday use. However, if you are not wearing your right hand ring daily, then wearing ring with softer stones is not a problem. Besides this, knowing different types of Right Hand Rings available in the market will also help your narrow down your search and help you make a good decision with respect to purchasing a right hand ring of your choice. Diamond is a stylish stone and can be easily crafted in any of the metals. 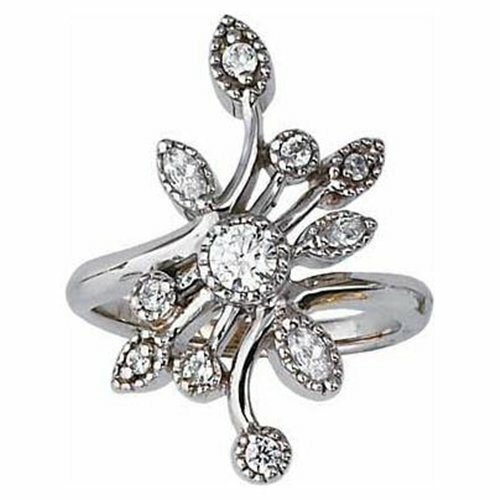 Stackable right hand rings are fashionable and glamorous diamond studded rings. You can either go for a single ring with diamonds that give out little sparkle or wear two, three or four diamond rings in your right hand ring finger in such a way that they shine and sparkle. If needed you can easily remove one or two rings to tone down the shine or when you want to make a different style statement with your jewellery piece. Fancy diamonds also known as coloured diamonds are very popular with women who love their jewellery piece to be in bright colors. Diamonds in yellow, pink, green, blue, orange, grey or black make for good for fancy right hand rings. Only gemstone rings or gemstone accents in your diamond rings is another favourite with many. You can either wear gemstones rings that include your birthstone or buy diamond rings that have gemstones in them to accentuate its color. If contemporary designs and styles do not fascinate you, then picking up a right hand ring that are antique or vintage pieces are good. These rings are called estate rings or vintage right hand rings. These rings have a unique styling to it, which makes all the difference. © 2019 Right Hand Rings. All Right Reserved.